Love advanced technology? You're not alone. We've packed the spacious Tiguan with enough tech to make any enthusiast jealous – no matter what world they're from. Use Area View for a 360 degree view of your surroundings. 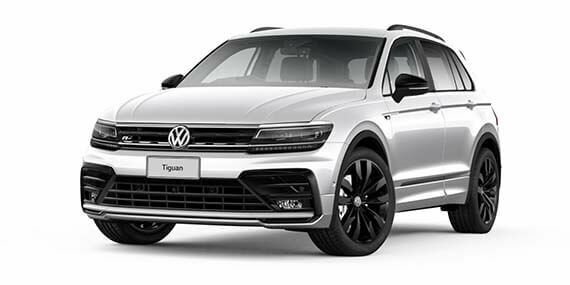 Turn your dash into a virtual cockpit with Optional Active Info Display. And feel safe knowing that your Tiguan's active safety features are helping monitor danger you might not even know is there. 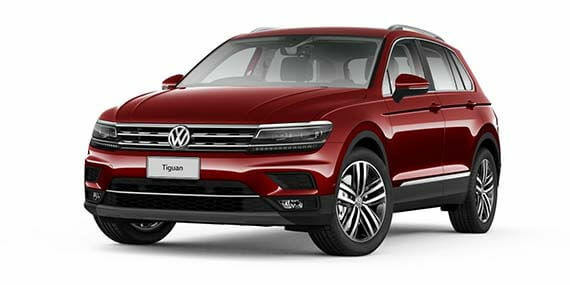 The Tiguan Wolfsburg Edition, includes a host of premium features and enhancements. The powerful presence of the Tiguan Wolfsburg Edition is only heightened by its styling package and black exterior enhancements, Dynaudio premium sound system, and R-Line package interior features. The Tiguan wouldn't be a Volkswagen if it didn't convey a sense of refined comfort with every touch. The dashboard itself is the epitome of clean and functional design, with everything the driver needs readily at hand. 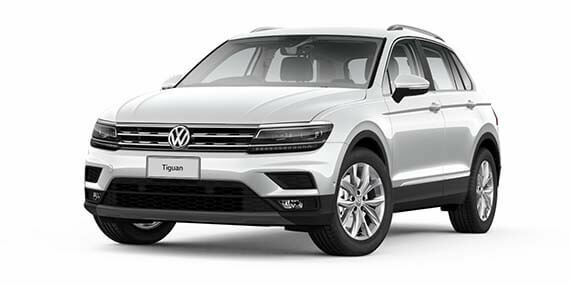 The uncompromising Tiguan boasts a class-leading 615 litre luggage capacity*. Its spacious and comfortable interior, paired with the exceptional gain in luggage space makes the Tiguan as versatile as it is luxurious. *With rear seat in the forward position. Our turbocharged petrol engines feature the latest in common rail injection technology, making them responsive and fun to drive, as well as being incredibly efficient. How they work is through injecting precise amounts of fuel at extremely high pressure, resulting in impressive torque and performance.